I went thrift shopping with my friend Vanessa for the first time and oh my God! How have I never been thrifty before? It was amazing, I forgot how much I love old stuff. So many memories from my grandmother were in those stores, from dishes to furniture it was just so amazing how well made everything was back then. 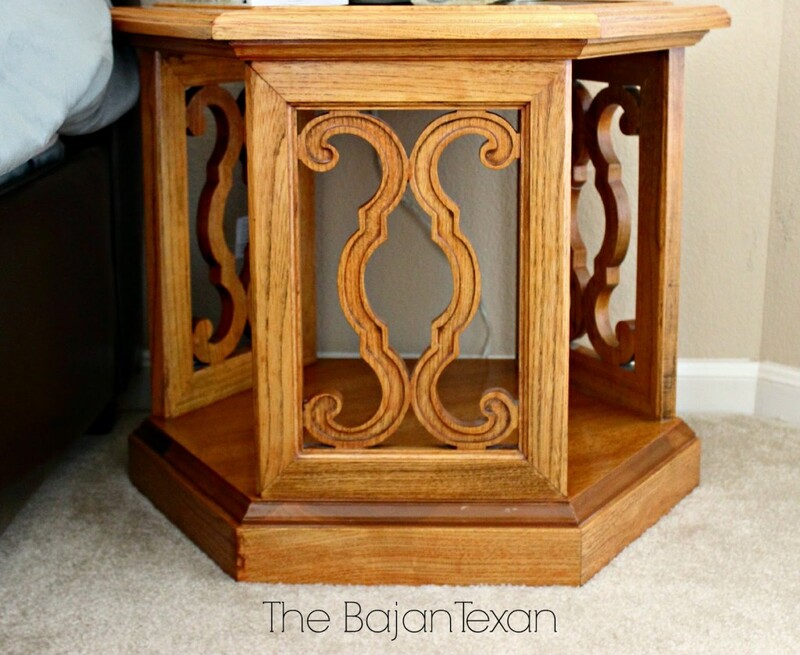 I stumbled upon this gorgeous side table in the first store we went to and didn’t grab it….three other stores later I decided to go back and get this baby. I just love it so much! 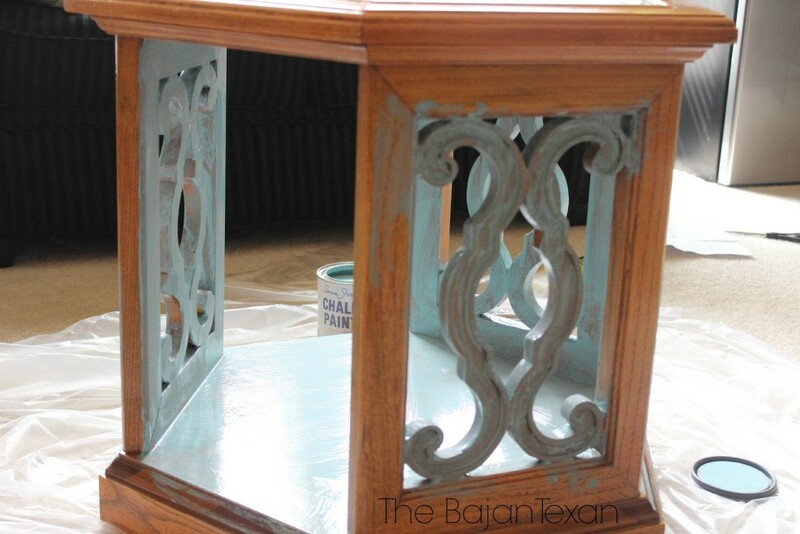 The color was ugly and it had this weird black top but I just loved the carvings and the shape. 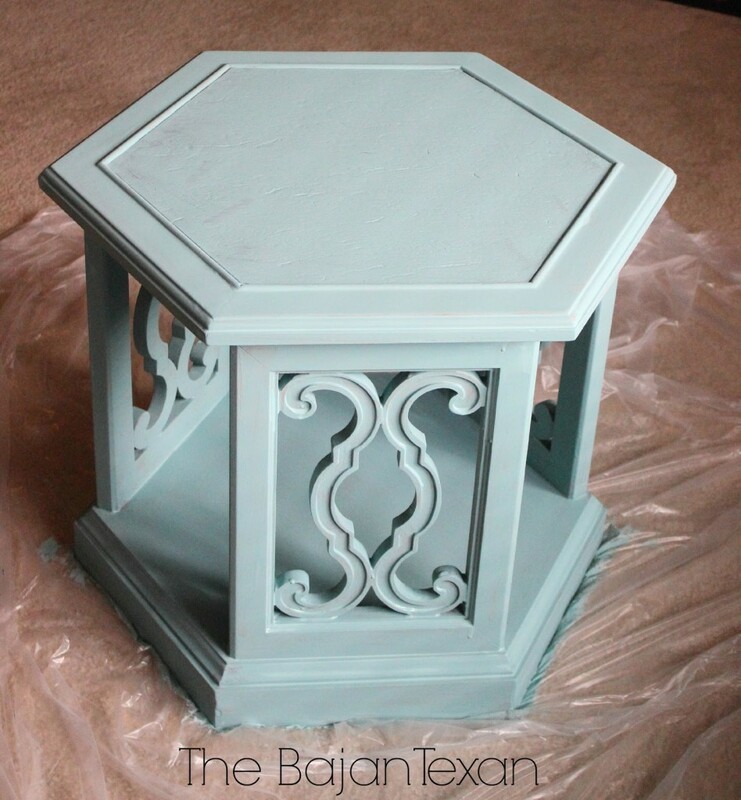 Enter in some Annie Sloan Chalk paint in Provence. 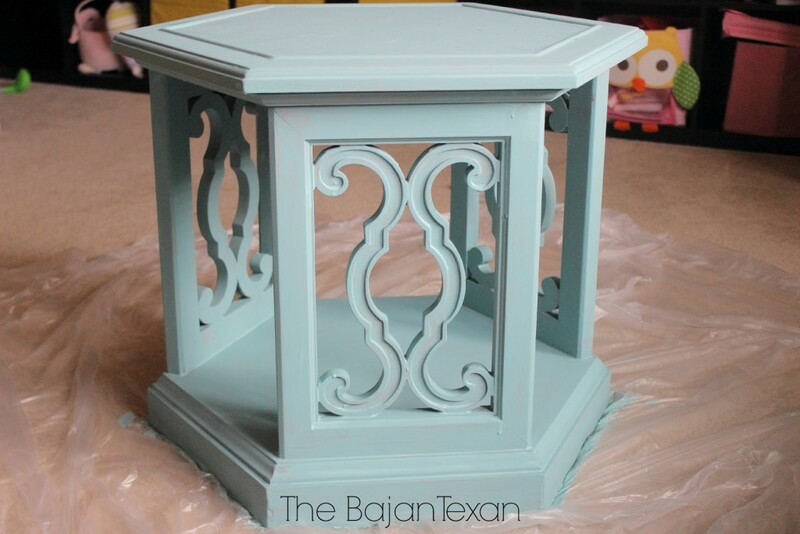 I just love to paint furniture pieces using with Chalk paint, there is no sanding, no prepping, I just wiped that bad boy down and got to painting. Annie Sloan has special brushes but I just used a regular paint brush from Walmart to paint with. I usually just need one coat but I needed a second for this project. I started with the inside of the table and worked my way out. Then when it all dried I applied the Annie Sloan clear wax with a cheese cloth. After two coats there it is! I even painted over the black leather-ish top with no problems. This project just took a few hours and it made such a big change in my guest bedroom. Can’t wait to show you the rest of the room! Do you also paint furniture pieces? I would love to see your painting transformations.